Information is power. Too much information … I’m not sure there is a word. Our goal is to help you bypass the “too much” and “too technical” so that you can find exactly what you need for your family. We have organized our Resources to address the questions that come up the most. Tips for Raising Readers is a set of handy set of lists and ideas (1 to 100) for incorporating literacy into family life. Check out the videos, too. 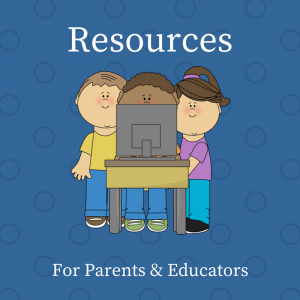 Literacy Help for Parents includes more in-depth articles and videos to make it easy for you to be successful on your literacy journey. Literacy Links for Educators offers some ideas that are great in school but can work at home, too. Multimedia Tools can be helpful when you’re trying to find literacy activities for older readers, as it taps into their love of tech. Writing Help and Vocabulary Building Tools take you to the other part of literacy: communication. This set of online resources offers everything from writing prompts and grammar help to word practice and building word banks.